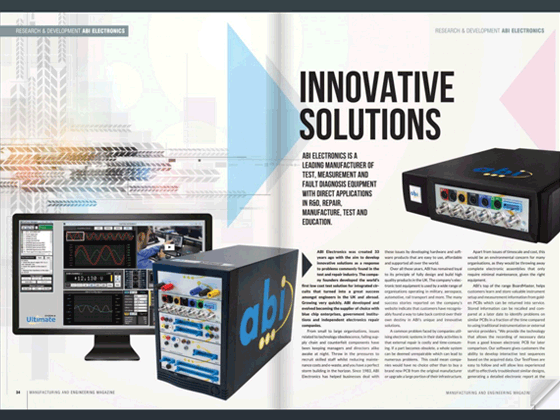 MEM, Manufacturing and Electronics Magazine, published an editorial about ABI's innovative solutions. "ABI Electronics was created 33 years ago with the aim to develop innovative solutions as a response to problems commonly found in the test and repair industry. The company founders developed the world's first low cost test solution for integrated circuits that turned into a great success amongst engineers in the UK and abroad. Growing very quickly, ABI developed and evolved, becoming the supplier of choice with blue chip enterprises, government institutions and independent electronics repair companies." Shareable PDF Version here. | Contact ABI for more information.